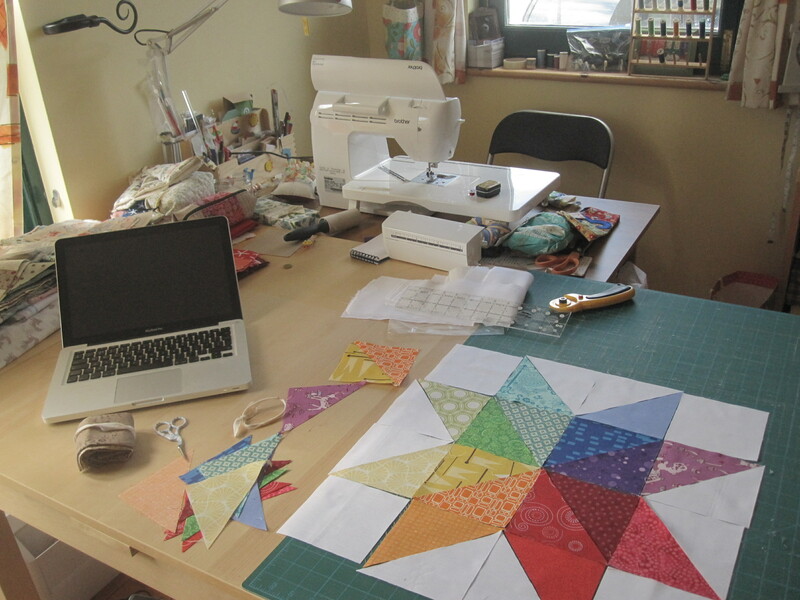 Modern Quilters Ireland - old: What's new, Irina? Hello, I'm Irina and I write about my ever-growing list of projects at El Petit Taller. I've been asked to tell you about what I'm working on at the moment. 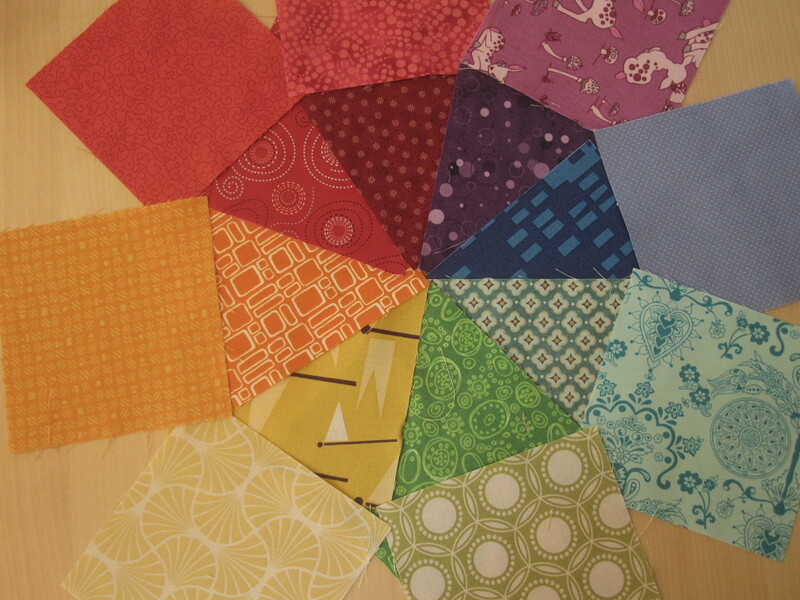 One of my many WIPs is a quilt for my son Conor, who has just turned 10 moths, so it's about time he had his own quilt! I took part in a rainbow charm swap and had been adding squares from scraps, so with a good collection of 5 inch squares I decided to make rainbow stars inspired in this tutorial. About the design of the quilt... I'm making it up as I go along! 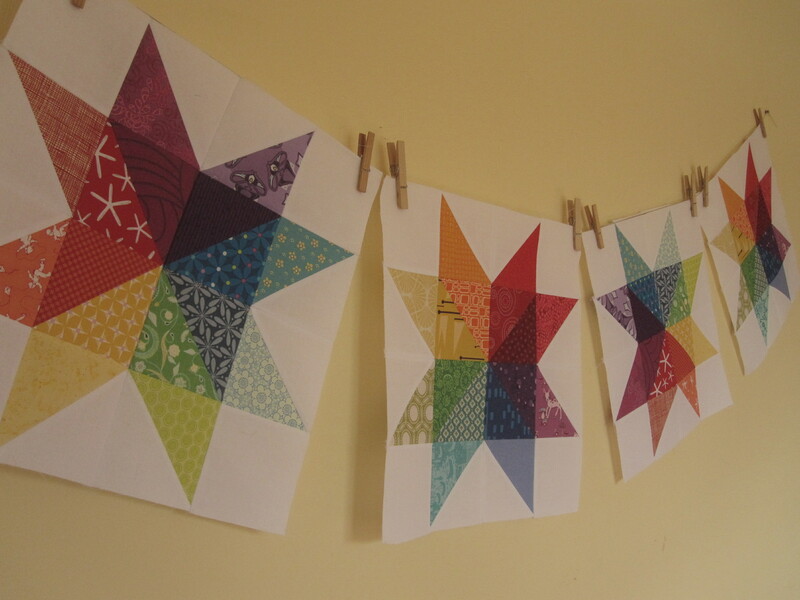 But the idea, so far, is to make a square quilt, with the stars slightly tilted on a white sashing. I'd like to make small wonky stars where the corners of the starry blocks meet. I'm not sure if I'll add a border... I will need to see how the central panel looks like first and if I want to add more starry blocks, so I might ask you for advise when the moment comes! Oh, and just let me tell you that I consider myself pretty new in modern quilting and I really love being inspired by the work of all the rest of you in the MQGI, so thank you!